New technology is bringing the power of augmented reality into clinical practice. 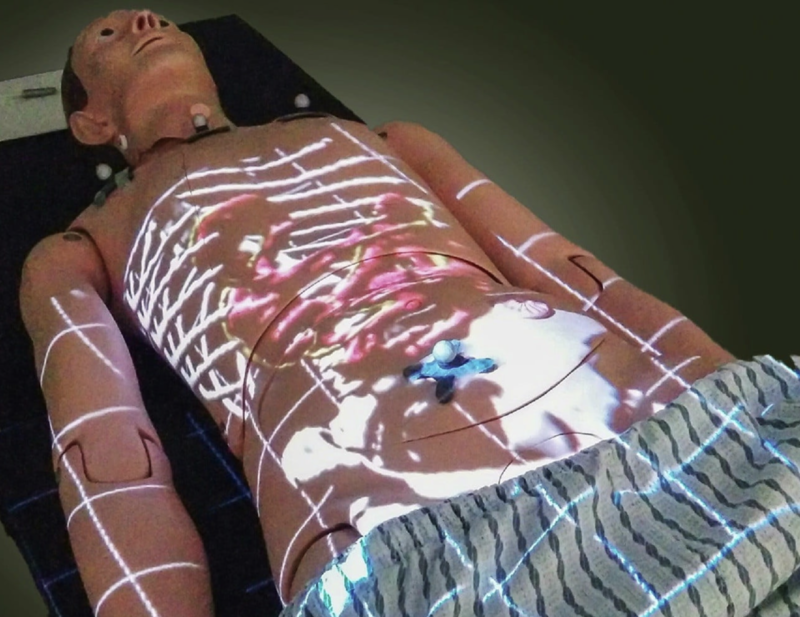 The system, called ProjectDR, shows clinicians 3D medical images such as CT scans and MRI data, projected directly on a patient’s skin. The technology uses motion capture, similar to how it’s done in movies. Infrared cameras track invisible (to human vision) markers on the patient’s body. That allows the system to track the orientation of the body, allowing the projected images to move as the patient does. Applications include teaching, physiotherapy, laparoscopic surgery, and surgical planning. ProjectDR can also present segmented images — for example, only the lungs or only the blood vessels — depending on what a clinician is interested in seeing. The researchers plan to test ProjectDR in an operating room to simulate surgery, according to Pierre Boulanger, PhD, a professor in the Department of Computing Science at the University of Alberta, Canada. “We are also doing pilot studies to test the usability of the system for teaching chiropractic and physical therapy procedures,” he said. They next plan to conduct real surgical pilot studies.